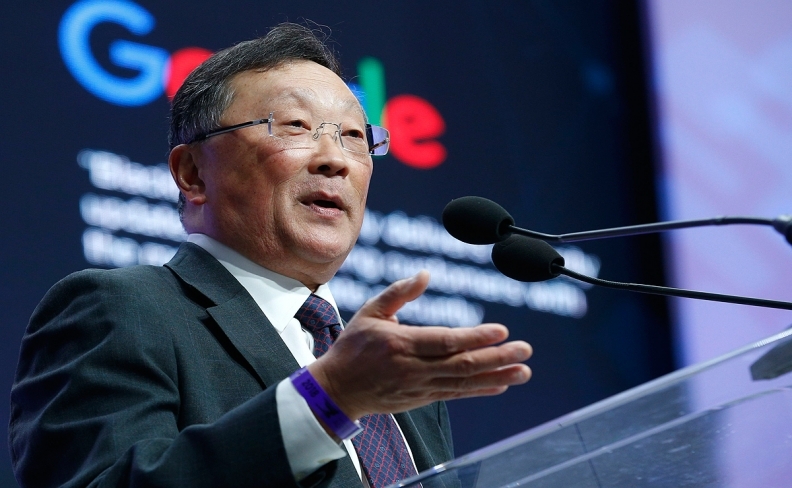 BlackBerry CEO John Chen says connected and autonomous vehicles require some of the most complex software ever developed, creating a significant challenge for automakers. DETROIT -- BlackBerry CEO John Chen took the stage at the Detroit auto show and introduced the world to Jarvis, the company’s newest cybersecurity product, already being tested in Jaguar Land Rover vehicles. The tech company from Waterloo, Ont., calls Jarvis a “transformational” product and is initially marketing it to automakers. Automakers are challenged by the fact connected and autonomous vehicles, in particular, use hundreds of software components, many of which are written by an expansive network of third-party suppliers spread across several tiers. “Connected and autonomous vehicles require some of the most complex software ever developed, creating a significant challenge for automakers who must ensure the code complies with industry and manufacturer-specific standards while simultaneously battle-hardening a very large and tempting attack surface for cybercriminals,” Chen said. Jarvis can be used all throughout the supply chain and within the finished vehicle. “Jarvis is a game-changer for OEMs because for the first time they have a complete, consistent, and near real-time view into the production-readiness and security posture of a vehicle’s entire code base along with the insights and deep learning needed to predict and fix vulnerabilities, ensure compliance, and remain a step ahead of bad actors,” Chen said. The technology was originally designed for its phones, but some tweaks allowed it to work in the auto industry. It can check thousands of lines of code used in automotive software in just minutes. It checks code against known threats used by cyber criminals and also against regulations, such as those set by the Motor Industry Software Reliability Association. Offered on a pay-as-you-go usage basis, BlackBerry said Jarvis can be customized for the unique needs of each OEM and their entire software supply chain. Automakers will have online access to Jarvis and can scan any number of files at every stage of software development. Companies will be able to evaluate new software under consideration as well as have assess to existing software already in production. In a trial run at JLR, Jarvis identified more threats than humans did — and the software did it just seven minutes, versus the 30 days humans needed to do the job.